Print Resolution: What It Is and Why it Matters? 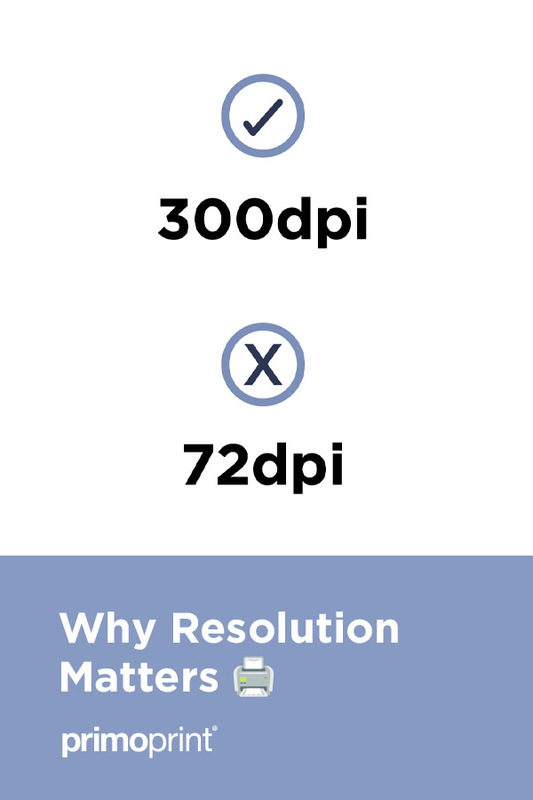 Why is a print resolution so important? A high-resolution file will have a higher number of dots, required for printing. 300dpi (dots per inch) is the resolution we recommend for print files. Files submitted to print that have a resolution lower than 300dpi will likely result in a lesser quality or blurred print product. We often receive files that are 72dpi which is the required resolution for digital outputs such as computer screens. These low-resolution files will appear clear on screen but will print quite blurry. See the example below of two business card files. The left image printed at 300dpi and the right image printed at 72dpi. It’s extremely important to use high-resolution images. If you are looking for images for your print products, we’ve listed some helpful sites that offer free high-resolution images. As you can see, high resolution images play a crucial role when printing products that provide an image in the design. If you receive a resolution warning when uploading your files, please send your files to info@primoprint.com. One of our file processors will be able to check the files and let you know if higher resolution images need to be provided.